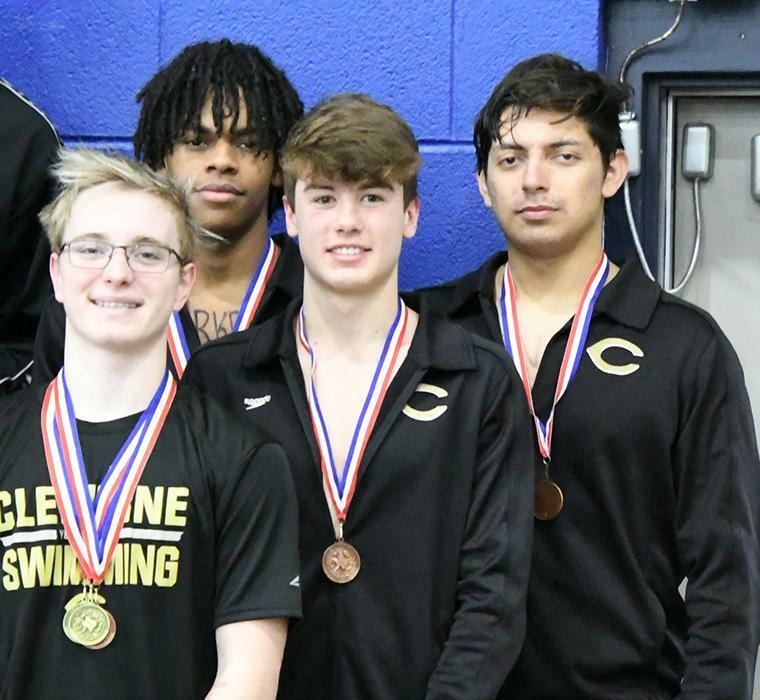 Jacket swimmers will be back in the water on Friday to compete at the Region II 5-A contest following a major showing at District, which included a number of gold-medal finishes. Cleburne’s girls' team came away in second place overall, with the boys placing third. Led by KaiLi Hall, the sole senior, the team includes Luke Jones, Jaxon Coates, Matthew Harman, Jerrod Whitney, Sterling Elliott, Damion Starks, Sandra Mendoza, Taliana Youngberg, Julie Hall, Morgen Mathson, Jorie Nagel, Kambree Coates, Samara Harman, Belle Mahaffey, and Ryan Head. In addition to Cleburne’s success in individual races, every Jacket relay team qualified for Regionals, including the girls 400-yard freestyle foursome of Coates, KaiLi Hall, Mathson, and Harman, who were the silver medalists. 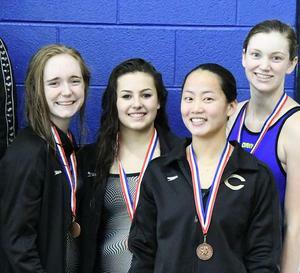 Cleburne’s Regional relay qualifiers also include the girls 200-yard team of Coates, KaiLi Hall, Harman and Mahaffey who were the bronze medalists. Advancing on the boys’ side in the event is Harman, Whitney, Coates, and Starks who placed fourth at District. 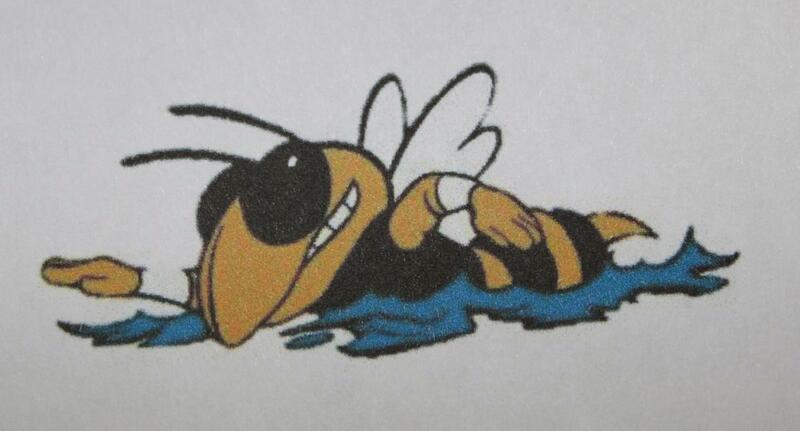 The Jackets’ 200-yard freestyle relay teams advancing to Regionals include Julie Hall, Mahaffey, Jorie Nagel, and Mathson following a fifth-place time and Coates, Starks, Jones, and Harman who came away with the bronze in the boys' race. In individual contests, Jacket swimmers were highly competitive with gold medal finishes by Jaxon Coates in the boys 500 freestyle and 100 butterfly and Matthew Harman in the 100 breaststroke and 50-yard freestyle. Samantha Harman provided a gold medal performance in both the 500 freestyle and 200 freestyle. Kambree Coates was the silver medalist in the 200 and will also compete in the 500-yard freestyle following her District fourth-place time. KaiLi Hall will be moving forward as the District Champion in the 100-yard butterfly. She was the 2018 Region 2 silver medalist in the event and posted a top 20 finish at state. Hall was also the silver medal winner in the 100-yard breaststroke. Mahaffey, who placed sixth, will be competing in the event as well. Qualifiers in individual races also include Mathson, who placed sixth in the 100-yard freestyle and fifth in the 50-yard free just ahead of fellow qualifier Mahaffey, who was sixth. Julie Hall will represent Cleburne in the 200-yard freestyle after placing fifth in the event. The 5A-Region II Regional meet, taking place at the Mansfield ISD Natatorium, will open at 3 PM Friday, February 1 with preliminaries, followed on Saturday with finals beginning at 4 PM.